Calderdale Medium Layer Super Output Areas (MSOAs), Lower Layer Super Output Areas (LSOAs), Census Output Areas (COAs) and their constituent postcodes. 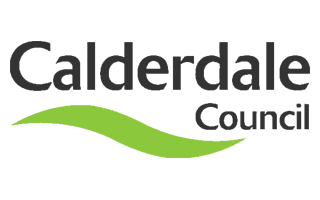 According to the National Statistics Postcode Lookup facility, on the Office for National Statistics (ONS) Geoportal, there are currently 7,233 postcodes in Calderdale, and this changes slightly during each year. There are 27 MSOAs, 128 LSOAs, and 668 COAs in Calderdale. MSOAs, LSOAs and COAs have been defined by the Office for National Statistics (ONS) to assist with reporting statistical information for small geographic areas. They were last updated following the 2011 National Census. The original data source is the UK ONS and contains National Statistics data © Crown copyright and database right 2011, and are subject to the Open Government Licence and the Ordnance Survey OpenData Licence . MSOAs and LSOAs do not fit exactly into ward boundaries. The Office for national statistics (ONS) define a 'best fit' for each MSOA and LSOA to determine which ward they sit in. This file shows the ONS best fit as at 31 December 2018. The file also includes the E codes for each ward, MSOA and LSOA.